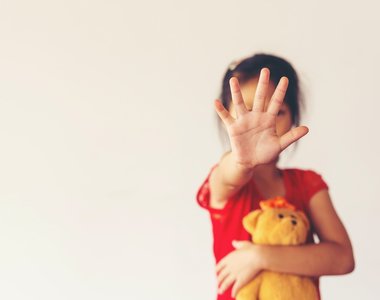 Responding to an Adult Who Is Being Abused — Is This Abuse? Listen very carefully to what she says, showing her by your body language that you are paying attention. Repeat back to her what she is saying, so she knows you’ve heard her. Believe her. Ask her if she needs a safe place to go, or needs help getting there. Give her the number of a women’s shelter, and offer to go there with her. Shelters provide more than just shelter, often offering a crisis hotline, legal assistance, referral to community services, counseling, support groups, and emergency transportation and childcare. Shelters are a place where women can meet other people who have gone through what they have. Some women are afraid to go to a shelter. Newcomers to Canada may face language barriers. First Nations or Inuit women may worry that there will not be cultural sensitivity. A refugee woman who has experienced violence in her home country may view the shelter as a prison. Women who are differently abled may have specific caregiving requirements that would be difficult to obtain in a shelter. Perhaps you want to offer your own home as a place they can find safety, or if they have resources, they could go to a hotel for a few nights until they decide what to do. Even women in hotels can draw on the resources of the shelter to plan next steps. Tell her that she deserves to be safe. It is never God’s will for people to be abused. Ask her whether she needs help getting other types of assistance. If the harm is physical or sexual, does she want to go to the hospital now? Does she want to call the police? If the woman is being abused economically, does she have a lawyer that she can contact? Tell her that you can help her look for community resources. Tell her that you would support her leaving the situation so she can be safe. Tell her that violence tends to escalate, it doesn’t get better on its own. Do not be surprised if she is reluctant to leave; many women have to think about leaving for a long time before they summon the courage to go. If she decides to stay, tell her that you are worried that the violence may continue, and that she may get hurt even more. Assure her that you will be there for her, if she needs to talk again, or if she needs assistance. Empower her by giving her options. Let her know that abuse is a crime and she can call the police at any time. Help her to think of several alternative safety plans, so that she can choose which one best suits her needs. She is in a very stressful situation. Respond in the way you would to any friend who is in crisis. Be available to talk. Help out with meals or childcare. Provide financial resources if you can to help with expenses. Show her that you care what happens to her. Let her know she deserves to live in safety. Don’t minimize the harm, even if she does. She may say, “He didn’t really mean to hurt me.” Tell her getting hurt like that is not all right, and that you are worried about her. Don’t say mean things about the person who hurt her. The woman may have ambivalent feelings towards the person who hurt her. She may love him and be afraid of him at the same time. It is her relationship, and she needs to make decisions about how she feels. Don’t overwhelm her with your emotions. Your outrage may just be one more thing she has to deal with, she may feel she is letting you down because she can’t leave yet. Don’t make decisions for her. Women who reveal that they have been abused often have suffered for a very long time. They may not trust their own judgments or feelings. They may have low self-esteem; they may blame themselves for what is happening. They may feel that they are powerless. If you try to make decisions for someone in this situation, it reinforces to them that they are powerless. Try to empower the woman to make up her own mind, and decide what she wants to do. Don’t rush her decision making. Do not criticize her or pressure her to do what you think is best. The time when a woman leaves an abusive relationship is often the most dangerous; she needs to be ready to take that risk. Just because you are ready for her to take that risk, doesn’t mean that she is ready! This is not about you, and your feelings of wanting to fix the situation, it is about her life, and she is in charge. Don’t break confidence by sharing her story without her permission, not even in the form of “prayer requests” or sharing with your pastor because “they need to know.” She is the owner of her story, and will share it with others when she is ready. Don’t confront her partner or let him know that you know. This could be disastrous for her safety, as he may retaliate and hurt her even more. Sometimes you may not be sure if someone is being abused. Many women who are abused try to let people know what is happening in indirect ways. They may drop hints that all is not well. Be aware that violence against women is not just a statistic but may be happening to people you know. You inquire about a woman’s black eye and she explains that she ran into a door. You remember that she had a black eye last month too. An older woman doesn’t know her financial situation; her son takes care of all the banking, pays her bills, deposits her cheques. She has to ask for money from him. Your sister calls you from a phone booth because her husband doesn’t want her calling her family all the time. You meet your neighbour at the veterinarian’s office, her dog is having surgery because her husband kicked it. None of these things in and of themselves mean that a woman is being abused. 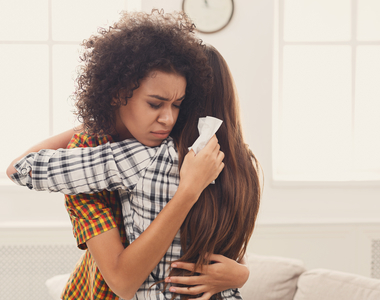 Being aware that violence happens in women’s lives means that you think to ask questions; “What happens when your husband gets angry?” or “Do you find that you have to hide a lot of things you do from your partner?” Perhaps you will subtly let your friend know that you are a safe person to talk to if she chooses. You could do this by telling her of a story you read in the newspaper about abuse, and how that sort of thing happens to a lot of people. Maybe you could tell her of a friend who left an abusive relationship and how supportive you are of her decision. Showing you care about women who suffer from violence may give her permission to share her story with you. If she is being abused, even if she never tells you anything, it may help her to think differently about what is happening in her life. Sandra became more aware of issues about violence against women as she got older. This happened mostly because more of her friends talked to her about what happened to them. One had been sexually assaulted. Another talked about being sexually abused as a teenager by her uncle. Another friend’s marriage broke down because of abuse. Stories about violence against women in the newspaper seemed to jump out at her. She started reading some books about the issue, and was able to go to a few seminars that her church’s denomination sponsored. Then something happened that made Sandra realize that she had changed. One day she heard a loud argument in the upstairs apartment. She knew that the couple often had fights, but this one sounded different. The yelling was louder, and suddenly there were big bangs, like furniture was being thrown around. Before she even thought about it, Sandra was at their apartment door knocking and calling the woman’s name. No one came to the door, but it was unlocked, so Sandra went in, following the voices to the bathroom. The couple was surprised to see her and stopped yelling. “I came to see if you’re OK,” Sandra said, looking at the woman. Sandra looked at both of them, and said, “I was worried, I had to check.” And then she went downstairs. When she got to her apartment, Sandra realized that she was shaking all over. She couldn’t believe she’d had the guts just to barge into someone else’s house. She knew though that she didn’t want to think about this for years to come, wondering what she should have done differently. If you witness something that looks violent, check with the woman to see whether she needs help. If it’s obvious she’s being hurt, call the police immediately. Intervening in a violent confrontation can be a very dangerous thing to do. However, ignoring a cry for help can mean the difference between life and death. Survivors of abuse have found the world to be an unsafe place. They are often traumatized. Part of the process of healing involves finding safe spaces where they can share their story and find a community that can foster their healing. For children being abused, and for most women who are abused by their partners, life goes on even as the abuse is happening. When people at work, at school and at church are treating you normally and yet you are in crisis inside, this is very unsettling. There can be a profound disconnection between the community and the survivor; they can feel that they are not safe, and that they can’t trust anyone. Many survivors feel that God is far away. Many survivors leave the church because they feel God abandoned them and doesn’t care. They feel anger that God did not prevent the abuse. Survivors in the church are often encouraged to draw on their Christian faith to restore their sense of safety. But sometimes that is very difficult. Communion can raise red flag issues for survivors: God sacrificed his own son, it’s a symbolic eating of flesh and blood, it’s a call to suffer like Jesus, it involves forgiveness of those who hurt you. These beliefs can all make the church a very unsafe place for survivors of abuse. It becomes a home that is full of danger rather than comfort. Some survivors are persistent, and keep coming to church. They are hopeful that the church will be a home for them, where they can discover new relationships that are trustworthy. Can the church be a place where survivors are believed and supported? For many years, people within the church refused to admit abuse happened in Christian homes. There has been a gradual shift towards recognizing that abuse happens within the church, and that this has profound and lasting effects not only on the survivor but on the whole community. Still, when faced with the reality of a respected member of the church who is abusive, there is often widespread disbelief and minimizing of the abusive behavior. It is hard for people to believe that someone can be nice to some people, and abusive to others. That is often the profile of abusers. They are very good at covering up their crimes. Because the abuser manages to be nice to some people in public, the survivor’s story is doubted or minimized and supporters of the survivors are treated with suspicion. Sometimes church people rally around the person who has offended and claim that he is the victim, because he is being falsely accused. His reputation is what is important. Safety for the survivor is not the highest priority. In these situations, the church is not a safe place, and the survivor and their supporters often leave the church. For survivors who share a story of abuse where the person who offended is outside the congregation, support is sometimes easier to find. It is simply easier to be supportive of the survivor without the difficult task of having to doubt the integrity of someone you know, love and trust. Some survivors want to share their story in the church. How the church responds to the story can be empowering if they are heard and believed. But it can also be a hurtful process for the survivor. People in the church may forget that the story always belongs to the person who shared it, not to the person who heard it. The story can sometimes be treated as public knowledge, breaking rules of confidentiality. Sometimes leaders may pressure the survivor to share the story in a large group setting. It can also be very disempowering if the church requires the survivor to tell their story with legal language, “my alleged abuse”, the “alleged abuser”, my “perceived sexual abuse”. The story is her story, people can doubt it, but to force someone to speak as if they doubted their own recollections is inappropriate. Churches may want to hear details of a story, but they may feel uncomfortable if too many details are shared. Survivors should make the decision about whether they want to participate in the church’s processes. The church needs to take into account the survivor’s needs; there is no one way that abuse must be handled in the church. For this to be a healing journey the survivor’s wishes need to be taken into account. The metaphor of housekeeping describes this situation. In some congregations survivors are seen as something out of order, something wrong. People are concerned about this and they offer support because they want to tidy up the problem, perhaps with the help of a professional. More than anything, they want everything to be back to normal, the way it was before the abuse. When the survivor is “resistant” to change, then something else has to happen. The something else is usually that the survivor is edged out of the church so that the problem goes away. Sometimes the survivor submerges the pain and stays, but more often they look elsewhere for a home. By focusing on the survivor as someone who is a problem that can be fixed or cleaned up, churches do not have to look at how abuse has damaged the whole community, or the way the community has fostered the abuse. It is easier to look at surface issues (housekeeping) and hope that everything can return to normal. For the survivor, unfortunately, life can never be normal again. They will never return to a state as if the abuse did not happen. Healing does not mean forgetting about the abuse, it means accepting it, working through the pain, and moving on as a wounded but hopefully stronger person. Listening to stories of women who have been abused means hearing about power and powerlessness, privilege and disparity. It may mean having to give up the myth that we live in an egalitarian society. Instead, we would see that our gender, our age, the colour of our skin, our economic status, our sexual orientation, or our disabilities can influence whether we are treated fairly or not. Many people cope with life by blocking out these dangerous realities. Blaming or shunning the survivor is one way that we fend off the fear that we are vulnerable to harm. Congregations who genuinely try to provide a place of safety, or a home, for survivors of abuse usually experience upheaval. Some people in the church ask, “Why do we need a sexual abuse policy in the church? Why do we need to screen volunteers?” Some prefer to leave, feeling that the “abuse issue” had been blown way of proportion, and that the church had become a “one issue” church. Others find the process exhausting, but are committed out of love for the survivor. Most people do not realize at the beginning of the journey how long healing takes. Years into the process of supporting a survivor, people remark on how they did not realize that the journey would change them so profoundly. Not all congregations are changed so profoundly by providing support. Some survivors choose to tell their story only to a few people who form a support group. Homemaking for a survivor of abuse can take many forms. 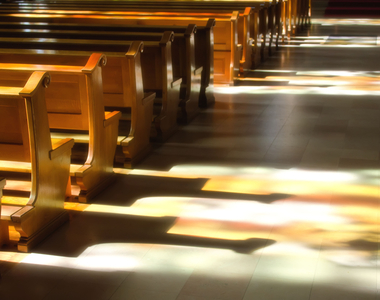 A church can begin by including prayers for survivors in congregational prayers. A minister can receive training on survivor issues. Bible study can focus on texts that talk about violence against women. If the congregation presents itself as a place where abuse is recognized, and not tolerated, survivors may feel more willing to identify themselves. Homemaking for the survivor can also take practical forms. Financial help to cover the cost of counselling could be offered, or it may involve offering childcare, preparing meals or doing laundry. It can mean accompanying a survivor to court, or being available by phone when anxiety strikes. It can involve making sure services in the church are sensitive to patriarchal biases. It can mean acknowledging that the nuclear family with the mother, father and children is not the only acceptable model for the Christian family. Creating a home for survivors is hard work. It’s relational. It’s open to failure. It’s not always a straightforward process. Even in congregations that are the most successful in providing a home for survivors, there is still anger, misunderstandings and hurt feelings. Churches create a home not by being perfect, but by their level of commitment to trying to create that home together. Survivors who have been shaped by trauma may feel in recovery that they are refugees entering a new country. The church can be that new home for survivors, but only if members are willing to risk examining their community with new eyes. Helping survivors is not something we do for “them”. When a community opens up and helps a survivor of abuse, they are transformed. A spirituality that is evidenced by homemaking and finding safe spaces for each other, is ironically a spirituality that involves opening ourselves up to pain and danger. Working to end violence against women is a task to which the church is called. Doing that in community, through supportive congregations, makes sense. The church as a safe environment embracing even its most wounded members — that sounds like home. When a woman has violence done to her, she experiences a violation to her body, her spirit and her relationships. The road to healing includes justice-making. Justice-making involves truth-telling, confrontation, repentance and restitution. Truth-telling happens whenever a woman tells her story. The facts may not be straight, her thinking may be muddled, but she is speaking her story of violation. This storytelling needs to be heard. A shelter worker, friend, a police officer, a pastor, a family member, or all of these people can be involved in hearing the truth that the women has to tell. Justice-making eventually involves confrontation of the person who has been violent. A woman cannot afford to directly confront the person who is abusing her without risking great personal danger. It is the community’s responsibility to tell the offending person they have done something wrong and they will be held accountable for it. Confrontation happens best when it is done consistently by everyone: police officers, family members, ministers and social workers. Church members should always involve professionals in confronting abuse, because the average person simply isn’t prepared for the type of manipulative behavior that an abusive man can use. When people who have abused are confronted, they may have a number of responses. Usually there is denial, minimization, blaming, more threats and anger. They often insist that they are the victim because they are being falsely accused. They may really believe this because they are in denial over what they have done. Over time, if the confrontation is consistent, they may feel remorse. Remorse over the actions is not enough; it merely signifies that the man is sorry about what happened. He may be sorry for a number of reasons: he may be sorry he has lost his partner or that he doesn’t live with his children any more, he may be sorry he got caught, he may be feeling sorry that this is costing him a lot of money in alimony or child-support. People in the church can be fooled into thinking that remorse is enough. Depending how convincing the person who has offended is, people might start feeling sorry for him. Leaders in the church may see remorse, and jump immediately to the idea of mediation. Many churches believe that the best model of healing broken relationships is mediation, where the two people get together with another person present in order to talk out their differences. This model, based on Matthew 18, may work in cases where the people in dispute have equal amounts of power. In relationships that are abusive, there is a power imbalance, and the person who has been abused can never “just” come and talk. There will always be fear involved. Remorse does not mean the relationship is ready to be repaired. The healing journey is only just beginning. Remorse is a positive step in the right direction, but repentance is an important next step. Repentance means “to turn around”, to change one’s actions, and to start a new way of living in the world. Most men who are abusive cannot reach repentance by themselves. They need professional help to explore why they were abusive, and help them to understand empathetically what it is they have done. When they have truly realized the depth of their violence, they may be ready to repent. True repentance is accompanied by a desire to make restitution. Justice-making isn’t something that just happens with words. Restitution is the positive, concrete ways that the offending person shows that they want to right what they have done wrong. This may mean paying for counselling for the survivor or replacing items he has damaged. It may mean giving the abused person space because that is what she needs. In the healing journey, the person who has been victimized is in control. The person who abused is not in control, and that can be very hard for him. When justice-making has been done, or significant progress has been accomplished, some women want to move on and never see the person who has abused them again. Women should not be pressured to “try again” in that relationship, unless that is what they want to do. Some may want to begin considering reconciliation. They may never want to be intimately connected with the man who has hurt them, but they hope they can be friends. Reconciliation may mean that they can talk directly about issues of joint concern, such as their children. Other women may want to try to rebuild the relationship from the ground up. The offending person also may need to work on reconciling other relationships that are broken. Violating someone hurts not just an individual, but families, friendship groups and communities. Even if he cannot be reconciled with the person he violated, he can work on restoring trust with other people in his life. Women turn to the courts as a place where justice-making can happen. They hope that the truth-telling that happens in front of a judge and with lawyers will bring about repentance. Even if the offending person is never repentant, hearing a judge say how terribly she has suffered can bring about healing. Justice-making can involve paying the penalty for what was done. Serving jail time or pursuing damages in a civil case are ways that a woman can seek restitution. However, the courts may or may not give what the woman feels is justice. She may feel that in the court process she was unable to say her story the way she would have liked. She may feel that the sentence was too light, or the damages too low. She may see the offending person plea bargain (be convicted of a lesser charge in exchange for pleading guilty so that the case does not have to go to trial). This can be extremely upsetting for the person who wanted to go to trial in order to have her day in court. The whole legal process may take too long. She may have felt a deep need to tell the truth when the man was arrested, but a year or more later when he comes to trial, she may be in a very different space, and re-visiting the story may not be what she wants to do. Finally, after all her efforts, the man may be found not guilty on a technicality, and the woman may feel that she has been denied justice. The courts are not impartial, and they do reflect the prejudices of our society. The age of the victim, the ability of the person who has offended, their skin colour or cultural background can all play into how justice is meted out by the courts; this may leave the woman feeling that justice was not done. In Canada, the fact that there are so many unsolved cases involving murdered and missing indigenous women points to the biases in our policing and courts. The church is another arena where justice-making can happen. Many women are simply unable to receive repentance and restitution. The person who hurt them may simply always deny it. Or sometimes the person who hurt them has died, or has moved away, or she is simply too scared to be involved with him. In this case, the church can act in some ways as a surrogate. The church can hear the story, and can mourn the fact that it happened. The church can make a statement that what happened was wrong. The church can confess that it has not been as proactive in confronting violence within church families and in society as it should have been. The church can show that it has repented of sexist attitudes, and is moving in a different direction. The church can offer practical resources to the woman in order to repair the wrongs. Churches have often held “keeping the family together” as an ultimate value. They have valued this over the safety of family members. Churches must be absolutely clear that when abuse has happened, the family is no longer intact, even if they are living under the same roof. Justice-making in the church means acknowledging that the person who has committed the violence has broken the family apart, and it may not be possible to put it back together. Reconciliation may be possible, but there is a long road to trust, involving remorse, repentance and restitution. Mediation is never a solution to a situation involving violence. It may be useful in a limited way down the road when family members need to decide about dividing property and arranging custody of children. For the church to be a place of justice, it also must accept the reality of divorce, and be welcoming to families broken by abuse. If you suspect a child is being abused, contact a child protection agency immediately. You are not liable for an unfounded report if it is made in good faith. You should not question the child or try to gather the whole story, that is a job for trained professionals. Sometimes you may have suspicions, but are unsure. The following characteristics aren’t always signs of child abuse, but they could be warning signs. Responding to the abuse of women and children can happen directly by intervening in the life of someone experiencing violence. But we also help people by preventing abuse, by confronting patriarchal structures and systems wherever we see them. This can range from family or church structures, to educational, political or economic structures. Creating safe homes, and raising children who understand patriarchal attitudes and reject them, is one of the best ways to prevent violence against women. Some of our most important and sensitive work with children has to do with making sure children of each gender have the tools to build strong and nurturing relationships. We also want to give children tools for resisting harm that is aimed against them. The family home is where we teach people about vulnerability. It is a sacred task to take care of those who need special care, whether through age or ability. We can reject hierarchical attitudes that value people for what they contribute rather than who they are. 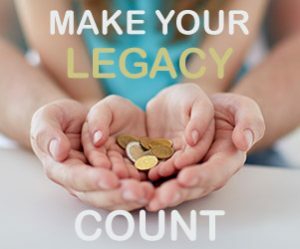 We can learn to value the unique contribution each person does make to this world just by being born. Creating safe communities means rejecting patriarchal attitudes in our schools, community organizations and local government. It means being aware of policy decisions made by the courts and the government. It means being politically active, supporting governments that work to end violence against women. It means lobbying for social services and support systems for women who have experienced violence. Political decisions in the past decades in Canada have eroded services on which women have come to rely. In practical terms this may mean: the shelter is full, there is a waiting list for transitional housing, there are few subsidized day-care spots, there are long waiting lists for subsidized housing, there is a shortage of job re-training programs, and there are cutbacks to medical services that stress the health care system to the breaking point. There needs to be a realistic assessment of the damage that is being done to women and children by violence, and the long-term costs to the system of this violence. As citizens, we can lobby the government to provide services or funding for those services. We can vote for politicians that support programs that help women. We can encourage feminists to hold positions of power. We can celebrate diversity, and create forums where people of different backgrounds, cultures, and abilities are welcomed.